My AZ Home Insurance Rates Went Up! Why Home Insurance Rates are Increasing! Turn on the evening news and you can see why home insurance rates are jumping! Big fires in Colorado, California, Washington, and Canada. 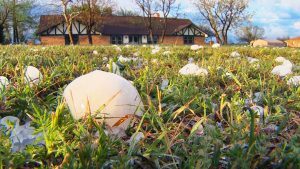 Baseball sized hail storms plaguing Texas and tornados bearing down on the South and Midwest are taking a toll on homeowners and insurance company profitability. While many natural disasters and storm damage is occurring in other regions of the U.S. the rates are being impacted everywhere. Big name brand companies are shareholder owned and have exposure through high risk areas ie coastal, wildfire, tornado alley. To meet profitability goals and shareholder requirements they will sometimes raise rates in low-risk states to make up for losses in other areas. The bottom line is – Insurance Companies are here to protect us from loss and to make a profit doing so. If you are like most homeowners in America, chances are you couldn’t tell me what your current home insurance is costing you and you’ve never read your home policy – ever, and quite frankly you just don’t have time to monitor and mess with it! With the hustle and bustle of closing on a new home and everyday life, most owners buy a home policy based on a cheap rate and toss it in a drawer and let it automatically renew through your mortgage escrow account. I am going to suggest that you delegate your homeowners insurance research and purchases to a LOCAL independent insurance pro. The beauty of this process is that a trained and licensed agent will do this for FREE and they have access to multiple sources for competing home insurance proposals. In a recent study about people buying home insurance online showed that many like to research their options online and transact (buy a policy) from a local agent. They also discovered that the biggest problem with online home quotes is that they are not very accurate. They are finding that this may be from user error, carrier error and simply a misunderstanding about all the factors that make up a firm estimate. Here are just a few of the moving pieces that determine your Arizona home insurance rates. I feel the same way about buying tires. “Tire sales person you have explained all the benefits, prices, safety features, warranties, tread wear studies – If You Drove My Mini-Van what Tires Would You Go With?” They might say “Sell Your Mini Van You’d Look Better in a Ferrari” but chances are they would have options and make a final recommendation based on my budget and use. 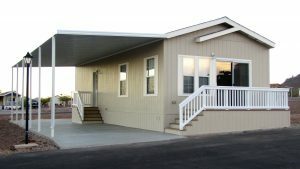 When it comes to specialty home insurance products like Manufactured homes, mobile homes, flood insurance and dwelling fire policies you should seek out a local independent agent. Many insurance companies have stopped writing specialty home insurance policies to focus on main stream homeowners single family policies. Typically an independent agent will have several options with carriers that specialize in these home niches. For example, a manufactured homeowner in Tucson, AZ might have trouble finding replacement cost coverage if the home is over 15 years old. A landlord who decides to do seasonal furnished rentals may be non-renewed by their current insurance company. Maybe you are not subscribing to fire service and need a carrier that will insure your home. Perhaps you have a claim that has been paid out, the repairs have been made and the loss remediated but your home insurer is still surcharging the loss. Put a Local Arizona Pacific Independent Agent to Work for you today at no cost. We’ll help you find the best protection and pricing that you are searching for! Next Post: Home Insurance Secret – If You Only Knew Better?